In researching my family tree on one of the websites I frequent…. 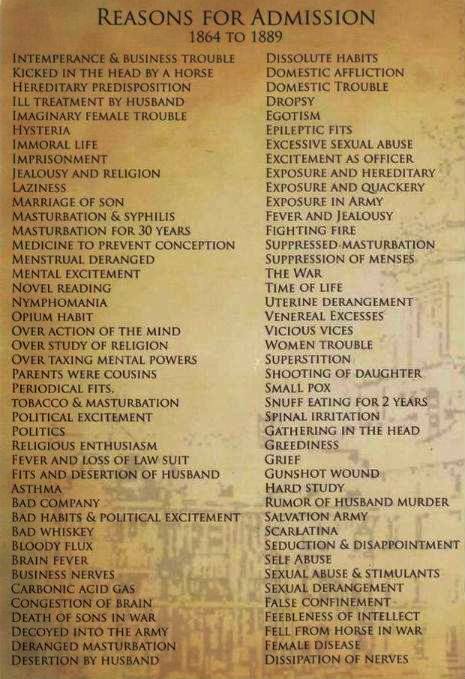 I found this document, entitled “Reasons for Admission: 1864-1889”. How many of us would have been already “locked up”? This entry was posted in Family History, Misc. and tagged Geneaology, Misc.. Bookmark the permalink.